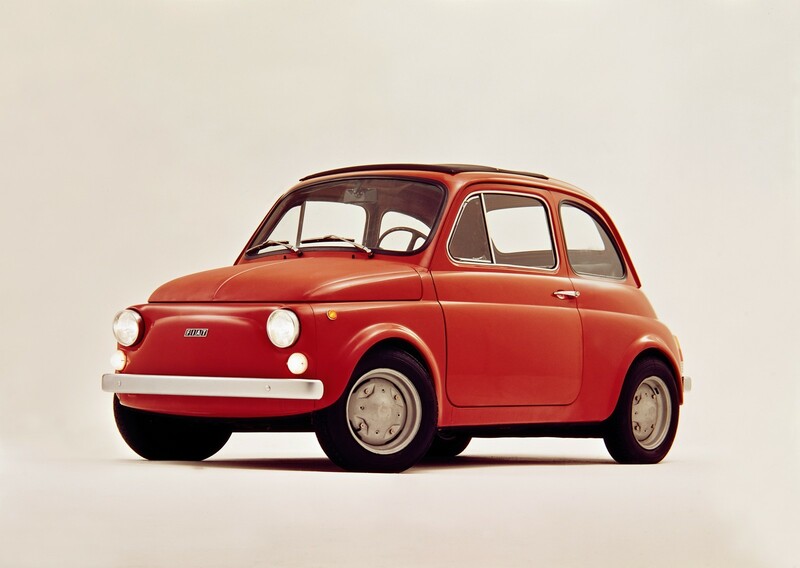 Fiat’s iconic 500 will celebrate its 60th birthday in July this year with six decades since the launch of the original 500, a design that changed car design and which lives on in the modern Fiat 500. The Fiat brand chose the Geneva Motor Show as the international setting to launch its celebrations of the 60th anniversary of the Fiat 500, the icon that stays true to itself and yet is always up to date. First presented in Turin on 4 July 1957, the Fiat 500’s 60th anniversary will include tours of Europe’s loveliest squares, involving fans and collectors of Fiat 500 models from the past and present. Under the “Forever Young” slogan, the project will celebrate the icon’s timeless status, ahead of fashions and trends, with the aid of design, “500-mania”, art and pop art, and advertising. From March until July 4, the Forever Young program will explore the car’s history over time. 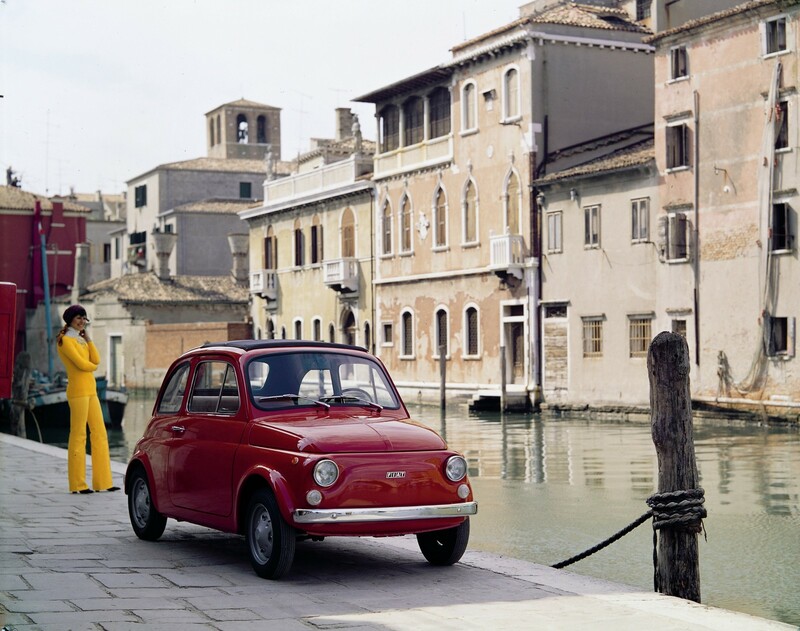 So it’s all aboard for an exciting trip that will intertwine product and history, and art and lifestyles: from 1957 to the present day, Fiat 500 has influenced fashion, society, and behaviors and become a genuine trendsetter. 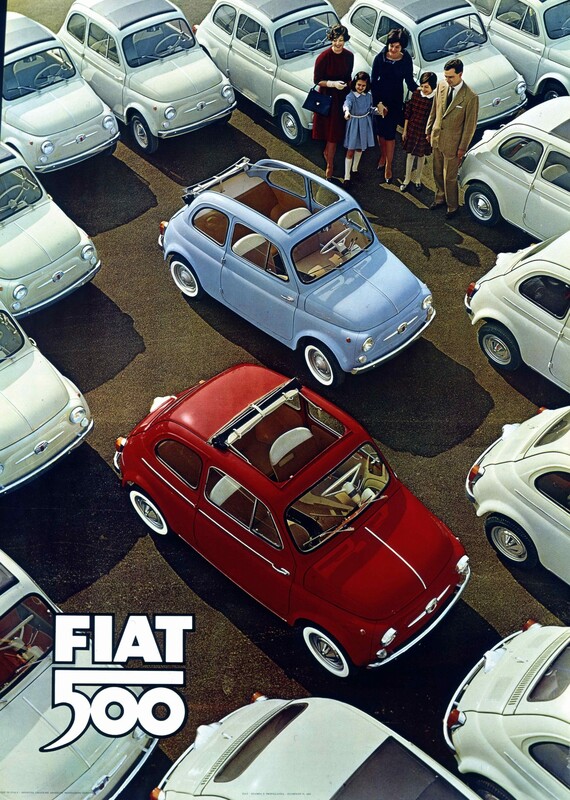 The original Fiat 500 was assembled from 1959 in New Zealand at Otahuhu with Torino Motors building and launching the ‘Bambina’ as it was known in New Zealand. The local name arose because the advertising agency thought that bambino or baby boy, the name used elsewhere in the world, might be confused for the baby Jesus, so bambina, the Italian for baby girl was adopted. More than 5000 ‘Bambina’ Fiat 500s were assembled in New Zealand, with that number bolstered by personal imports. Back in 1960 it was the cheapest new car in New Zealand, priced at 499 pounds. Today in New Zealand the Fiat 500 is available in five versions starting at $19,990 plus on road costs for the Fiat 500 Pop and $29,990 plus on road costs for the open top Fiat 500C Cabriolet. The Fiat 500 is much more than just a car. In 60 years it has become a pop culture icon, and a symbol of Italian style that never goes out of fashion. Brightening roads worldwide is the mission that the 500 has fulfilled every day since 1957: the iconic Fiat is a work of art that complements the surrounding environment. This is the basic idea of the advertising campaign created by the Leo Burnett agency. The campaign will be developed across various media, using different languages, which share the special connection between contemporary personality and sixties vintage inspiration. It will be characterised by a dedicated badge which will appear in all communication activities on all channels for the entire year of celebrations on all 500 family products. The distinctive “500” lettering contains the claim “Forever Young”, which underlines the personality and values of the iconic Fiat. Far from being old-fashioned, the 500 is always up to date, yet remains true to itself, becoming a symbol and an authentic legend on four wheels. As a finishing touch, the message “Since 1957” proudly reasserts the birth year of a car that is celebrating its sixtieth birthday with all the freshness its many fans have come to expect. Today the 500foreveryoung.fiatpress.com website publishes the first episode of a journey exploring the Fiat icon, which will feature five different locations in an interactive virtual museum. A new “room” will go online at the start of every month, sharing a different era in the Fiat 500’s life. Visitors will be able to access multimedia contents through objects which reflect the changes in the times and society. These will include a radio playing the music of the period and a TV showing video material of the time, including commercials. A photo album can be scrolled through to view the events of the specific time while the typewriter will give access to a series of documents. The multimedia archive can be downloaded using the press kit download function. The first episode of the web series, set in 1957-1968 , starts in Dante Giacosa’s office in Turin, where the car was designed, an exciting beginning which sets the pace of a thrilling tale. 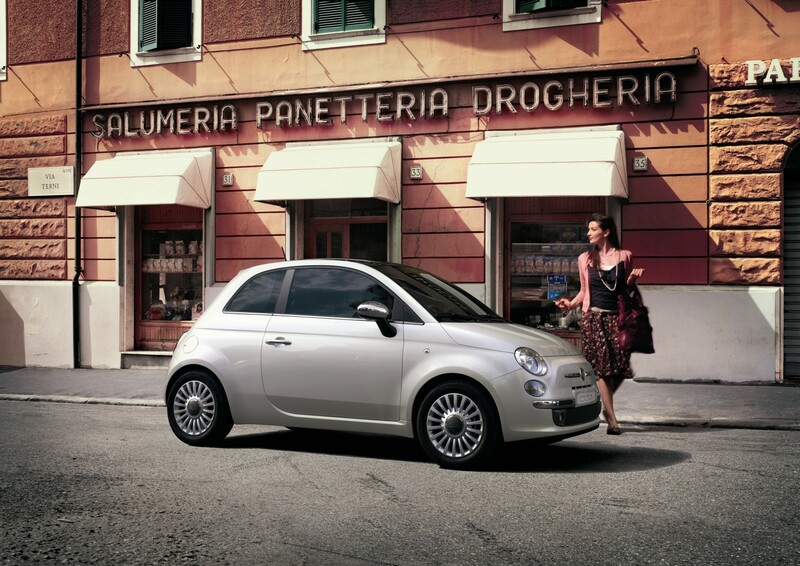 It is the physical and mental space where the Fiat 500 story all began. Starting from the original designs, the embryonic idea, visitors can explore the magical formula that gave birth to this masterpiece of Italian design, successfully reinvented over sixty years but with all its values very much intact. Visitors to the site can access the car’s technical drawings, while on the desk are several magazines, including the first edition of Ilustrato Fiat [Fiat Illustrated], the designer’s private filing-cabinet offers stories and anecdotes, a model of the Fiat 500, and postcards showing the 500 across the world are also accessible. The office is completed by framed photographs of Giovanni Agnelli and Vittorio Valletta at Mirafiori. 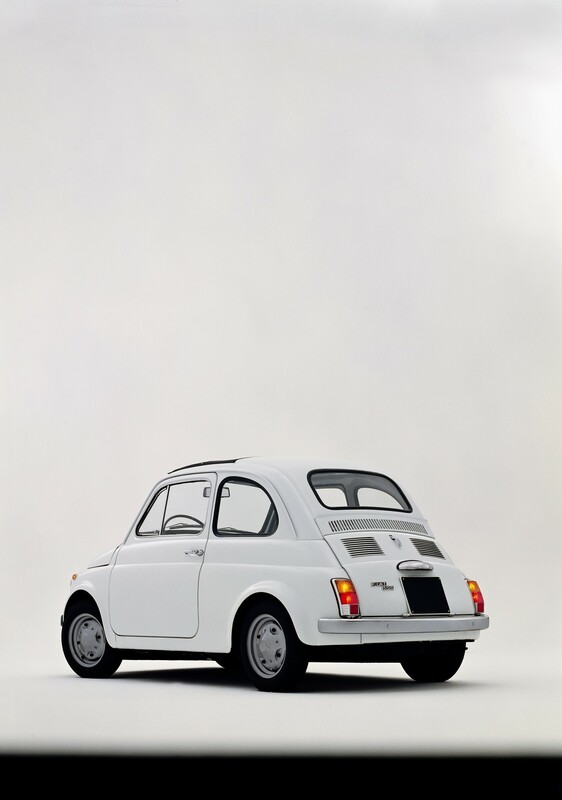 After clicking the keyword “Fiat 500”, visitors will be able to download a document about this Italian design masterpiece. Fittingly, the various objects in the virtual room are also fine examples of Italian creativity of the time: the Lettera 22 typewriter by Nizzoli, Zanuso’s Algol 11 TV and the Arco Floss lamp by Castiglioni. Sixty years old and not a wrinkle: the first tribute to this major milestone is the Fiat 500 created to mark the 60th anniversary. The presentation of the special series at the Geneva motor show kicked off the celebrations and confirmed the multi-faceted personality of the iconic Fiat. While always remaining very much itself, over the years the Fiat 500 has acquired a number of different, but always exclusive, looks. This is one of the secrets of its eternal youth. Its design has continued to be unmistakable, and has inspired the imagination of artists and fashion designers, who have given it elegant, exclusive and sporty interpretations. For example, no one could forget the exquisite details of the “500C by Gucci” in 2011, with the soft-top decorated with the fashion house’s unmistakeable green-red-green motif and two-colour Frau leather seats printed with the word “Guccissima”. Or the “500 by Diesel” in 2008, successfully combining motoring and fashion in a product crammed with creativity, innovation and striking stylistic details – an effect previously achieved by the 500 Pink with its distinctively coloured paintwork. The focus shifted from pink to pastel blue with the 500 Vintage ’57 in 2015: an homage to the past with a retro look also underlined by the leather seats. A more recent success is that of the 500 Riva, “The Smallest Yacht in the world”, symbolising the great beauty of Italy with mahogany dashboard and maple inlays – the types of wood also used for the construction of Riva yachts. In short, every variation on the 500 theme has thrilled and amazed, thanks to the unique personality of the car, which shines through every single interpretation. So nothing could be better than to celebrate it with a special series to mark the occasion, a collector’s item affordable by all, consistent with the model’s typical flair for combining traditionally conflicting values. The design of the Fiat 500 special 60th anniversary series is truly unmistakable, thanks to the contemporary reworking of classical stylistic features like the vinyl dashboard, the vintage badge on the nose between the chrome moustaches and chrome trims on the bonnet. Just 560 examples of this Europe-only limited edition model will be produced, each with an individual certificate of authenticity. 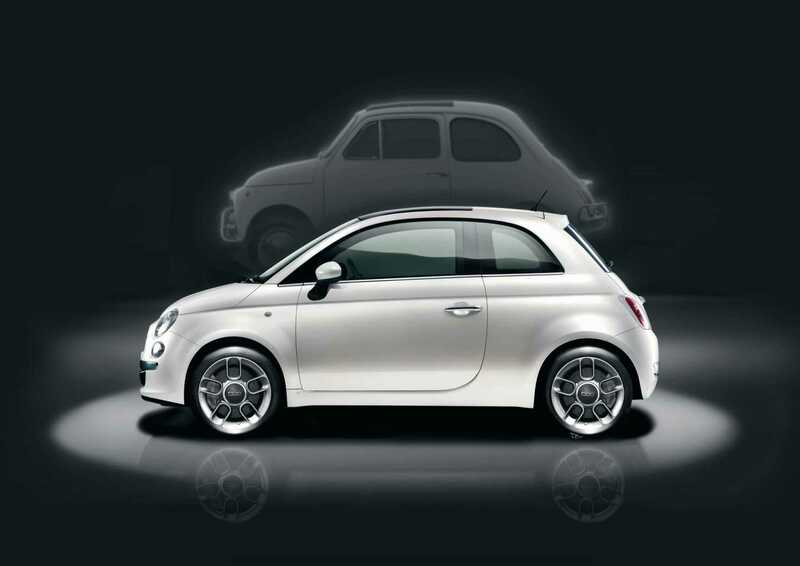 The public right across Europe will get a close look at the new special series and find out about the 500 story at first hand with “The Forever Young Tour”, which will reach many cities across Europe and involve Fiat fans of today and yesterday. The 500 is more than just special series: the car can boast many special partnerships with extraordinary celebrity endorsements, like Jennifer Lopez at the wheel of a “500C by Gucci”, the irresistible tune of Pharrell Williams’ “Happy” in a video dedicated to the iconic Fiat, Oscar winner Paolo Sorrentino for “500 Cult” and Ben Stiller for the 500 Corallo Red. The whole of 2017 will feature events focusing on a variety of different fields. As “Forever Young” clearly expresses, the 500 is an icon renewed over the years, partly through artistic interpretations that have made it a work of art in its own right. Starting from the Geneva motor show, the 500 will be celebrating its flair by collecting the contributions of kindred spirits from different backgrounds. The “little big car” born in 1957 now speaks directly to the millennials, for example through the videos shown on the Geneva stand by Cyriak Harris, the famous British film animator globally famous for his surreal, psychedelic style, which he uses to create fascinating worlds. Starting from simple animated GIFs in the early noughties, his creations today include video clips for famous performers. His technique creates a phantasmagorical story capable of expressing bold ideas and narrating a 3D world in motion which oversteps the two-dimensions of a picture to generate new emotional response. As well as art, the 500 also inspires fashion: the exhibition area dedicated to the 60th anniversaryspecial series will proudly include the bags of the “Gabsule collection Fiat 500”. This is an exclusive collection of bags, wallets, vanity cases and key-rings styled by Gabs, which embody the car’s signature coolness while paying homage to its design and telling its story through snapshots of iconic details. The line-up will also feature the “Tribute to 500 Anniversary” glasses created by Italia Independent and available for the first time: characterised by a traditional, round frame, they are inspired by vintage design, reinterpreted in a modern, elegant key. Immaculate lines, double bridge and round, flat lenses, combined with colours that match the Fiat 500 special 60th anniversary series, giving the product a cool, contemporary look. These fashion accessories are just the first surprise in a year which will bring many more: the 500’s carefree form, and the very essence of its character, have inspired ideas and projects to offer all fans a fresh, enjoyable way of joining the celebrations. I'm thrilled with my new SRT Grand Cherokee. Dealing with Terry Lawton was an absolute pleasure and the aftersales service from the team at Winger North Shore has been nothing short of exceptional, and has exceeded my expectations.